Do you know the history of this Heart of Westport neighborhood block? The 3900 block of Central is near the corner of Broadway and Westport Road, where the Corner Restaurant now stands. 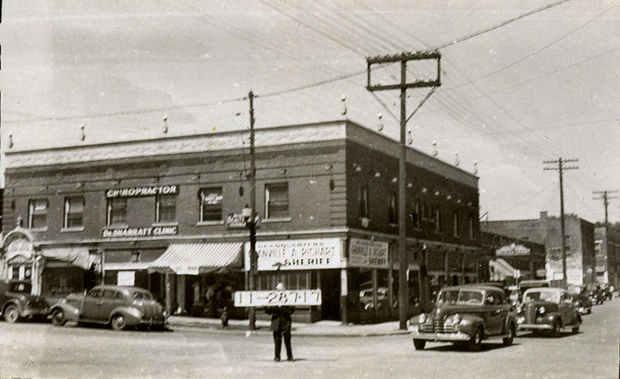 In the 1940s, when this photo was taken, the building appeared to house the headquarters for a Jackson County Sheriff candidate. Today’s slideshow features homes on the 3900 block of Central in the Heart of Westport neighborhood. Central Street is just one block east of Broadway. The 3900 block of Central in 1895. Here’s what we know about the block so far. Reader Janet Pickett says she grew up on the block. The Sanborn Fire Insurance map from 1895 shows most of the homes on the west side of Central had been built before the turn of the century. 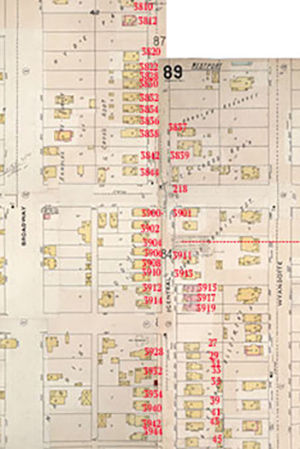 The Sanborn Fire Insurance map from 1909 shows a few more homes were built in the first decade of the 20th century. 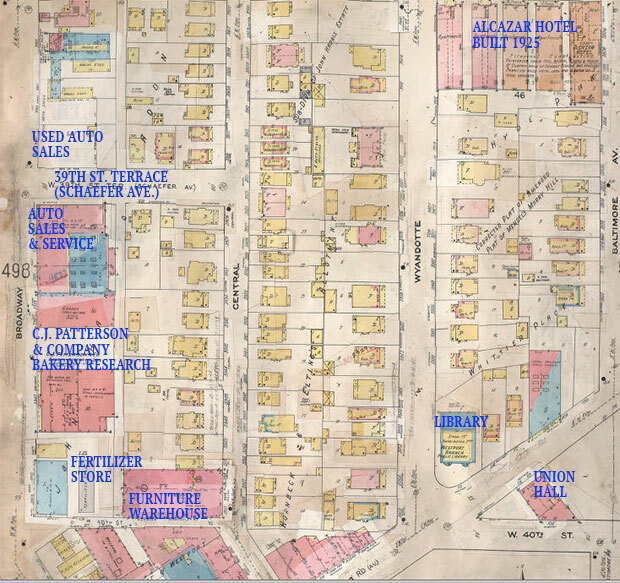 The 1909-1950 map of the block. Our slide show (below) shows all of the houses on the west side of the block as they looked in 1940. Unfortunately, the 1940 photos of the east side of the block are not available at the Kansas City Public Library. We also couldn’t find much else out about the block. So we’d like to hear what you remember of this block. We’ll share your history and help to preserve it on our website. 112873 is the house where my friends, the McGee family lived in the 60’s. Their Grandfather George McGee lived on the east side of the street. Our next door neighbor lived at 3950 Cetral. Her name was Mrs Sailor. She said she watched our house be built at 3952. Her house was moved to that block from the sight of where they built the Union Station. 11287 is the house where I grew up.